Federal Courts in Wisconsin over the past two weeks have struck down significant parts of Wisconsin's extreme and restrictive voter photo ID law and other measures that restricted early voting – including on weekends, as well as far more restrictive residency requirements and measures to make it far more difficult for college and university students to vote. The court decisions also characterized some of these voter suppression measures – enacted into law since 2011 – as intentionally racially discriminatory and unconstitutional. These and other federal court decisions across the nation in the past ten days have dealt severe blows to hyper-partisan Republican voter suppression laws enacted to make it easier for Republicans to win elections. 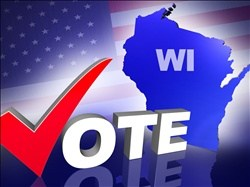 But any changes that might occur to voting laws in Wisconsin will not be in effect for the August 9th primary election. It is important to remember that so there will be no confusion. Read here to understand the possible ramifications of the federal court decisions, which are opposed and will be appealed by the State Department of Justice. Meanwhile, as we have said, the August 9th primary election will proceed with the voter suppression laws fully in effect. 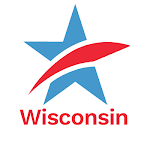 The Wisconsin Election Commission predicts very low turnout for next week's primary election, with as few as 16% of Wisconsin's voting age adults expected to cast a ballot. But even with the current voting restrictions in place for the primary, we should be able to do better than that. In these turbulent times, we cannot afford to underestimate the importance of any election. So don't sit this one out! If you can't get to the polls next Tuesday, then vote early this week with an in-person absentee ballot at your Municipal Clerk's office – you can vote early until close of business or 5:00 PM (whichever is later) this Friday, August 5th. When voting by in-person absentee ballot or at the polls on August 9th, you will still need to present one of the acceptable forms of photo ID pictured below. The recent federal court ruling allowing voters without acceptable photo IDs to cast their ballot by affidavit WILL NOT be in effect until the November general election. If you're not sure if you are registered to vote, then go to MyVote.WI.gov and select "Register to vote," then enter your name and date of birth to confirm that you are registered at your current address. Register (and vote!) this week in your Municipal Clerk’s Office up until this Friday August 5th at 5:00 p.m. or close of business, whichever is later. You'll need to bring a proof of residence document to complete your registration (this document can be shown electronically). And while you're there, save time, bring along your acceptable photo ID and cast an early, in-person absentee ballot! Or you can Register at the Polls on Election Day. You'll need to present a proof of residence document in order to register to vote (again, this document can be shown electronically) AND an acceptable photo ID to cast your ballot. Here are some examples of acceptable proof of residence documents for voter registration. Remember, in order for your vote to be counted in the August 9th primary, you MUST present one of the forms of photo identification pictured below. . While two recent federal court decisions will have a major, positive impact on the ability of eligible voters to cast a ballot in the November general election and beyond, these court decisions WILL NOT apply to next Tuesday's primary election. For additional information on the photo ID you will need to present when casting a ballot, please see the links below. Click here for more on getting ready to vote in 2016! If we want to preserve and protect our democracy, we have to show up. Get ready, take the time, and VOTE – and make sure every eligible voter you know does the same! August 9th Primary Election Next Week Not Affected by Courts Striking Down Voter Suppression MeasuresTweet this!